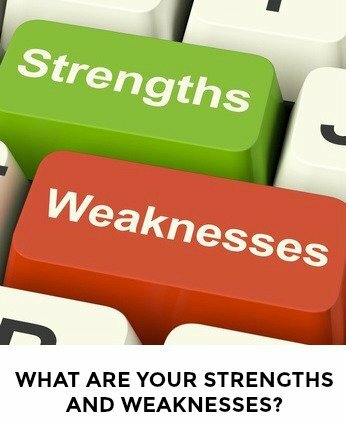 Free Interview Answers - What are your strengths and weaknesses? Prepare to get the job you want with free interview answers to the most common interview questions. Use these answer guidelines and sample interview answers to prepare for the most frequently asked job interview question "What are your strengths and weaknesses?" This is a tough question to answer in your job interview and preparing a good answer beforehand will ensure that you respond in a professional and confident manner. Always consider the job you are interviewing for. Tailor your strengths to the position and show why you are the right job candidate. Relevance is key. How do your strengths qualify you as the right candidate to make a success of this job? Avoid the mistake of frustrating the interviewer as you describe what a great athlete you are and list your latest sports achievements during your sales job interview. However, with some thought you can translate almost all of your strong points into job-relevant attributes that will contribute to your success in the job. "To achieve as an athlete I had to stick to a tough training program and make sure I kept myself motivated . I had to be disciplined and determined. I believe these strengths strongly contribute to my success in sales"
Candidates often find it hard to verbalize their strengths, so spend some time thinking about this before the interview. What are your interests? Building beautiful doll house furniture may not immediately seem to have any relevance to that accounting position, but the attention to detail needed for this is definitely a job-relevant strength. What have been your successes, what attributes did you have to demonstrate to achieve them? Ask your friends, colleagues and family to tell you what they appreciate about you. How will these attributes benefit a future employer? "I'm an adaptable person. I work for three different managers, they have very different management styles and expectations of me. I am able to adjust my approach to meet each of their needs"
Avoid over-used, vague terms such as "people's person". Be specific. "I am good with customers. I enjoy the challenge of turning a dissatisfied customer into a satisfied one. Just last week I had an experience when ......." and quote a recent example of how you successfully managed an unhappy client. 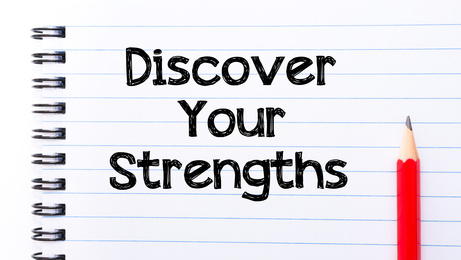 This strengths-finder will help you to identify your greatest strengths. Focus on two to three key strengths in your interview answer. Get help finding out what your strengths are. Follow the practical steps at what are your strengths? to identify your own strengths. These are the 12 core competencies identified for success across the majority of career fields. Use them as a guide when answering the strengths interview question. Free interview answers - what are your weaknesses? 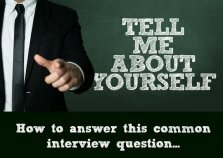 With this typical interview question the interviewer is assessing your self awareness and insight rather than your weaknesses. The ability to acknowledge a weakness is often seen as a sign of maturity and wisdom. Refer to a true weakness but show that you are dealing with it proactively by describing it as an area for development. "I'm impatient with people who don't work at the same pace as me but I'm learning to manage this. I make sure that they have the right resources for the job, I follow up to see that they are on track and I step in and help when needed"
"I can procrastinate, I am aware of this and make sure I answer my emails and messages straight away. I update my calendar as soon as I have a new task or appointment, this really helps"
A good guide is to acknowledge one or two weaknesses, describe the efforts made to overcome these and end your story on a positive note. "I've been reluctant to delegate. I have had to re-evaluate this as it was creating a big workload for me. I assign each person a specific, manageable task and then follow up regularly to see that it is being done properly, this seems to work well"
"I can be a bit aggressive in reaching my goals"
"At times I can get too involved in other people's problems, trying to help them"
This approach, making a weakness sound like a strength, can be successful but interviewers are usually alert to candidates trying to do this. It is much better to talk about a true weakness that you are aware of and that you are taking practical steps to improve on. How can you improve on your weaknesses? 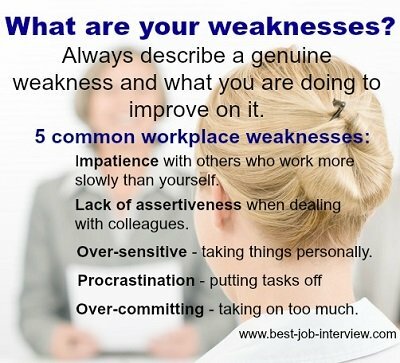 Always include the steps you are taking to improve on your weakness in your interview answer. These are two of the most difficult questions to answer in the job interview. Prepare using these sample free interview answers and stand out as the right candidate. If you found these guidelines to answering "What are your strengths and weaknesses?" helpful then visit our sample job interview questions for more interview questions and answers. Spend some time at typical interview questions to find out how to answer job interview questions about handling conflict, your ideal job and how you define success. 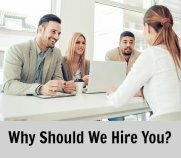 Free interview answers to questions about your job motivation. Do you think you will have to answer behavioral interview questions in your job interview? The behavioral interview guide provides free interview answers to common behavioral or situational interview questions. Job Interviews > Job Interview Questions > What are your Strengths?